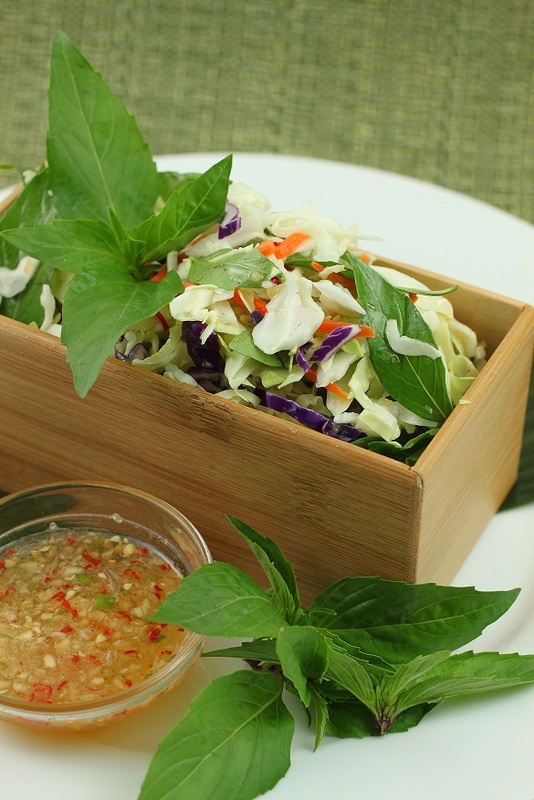 For a change of pace when serving coleslaw with BBQ meats, I like to substitute the regular coleslaw dressing (see my Slap Juice Slaw recipe) with an Asian-inspired dressing instead. 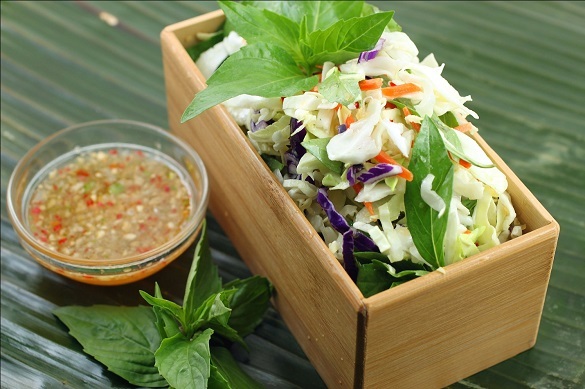 In Thailand and Vietnam, tangy salad dressings with pungent fish sauce (substitute soy if you can’t find it) and sugar with garlic and lime juice is found everywhere. Add as much Thai chilies as you like! I prefer to dress my coleslaw as a salad instead of mixing the dressing and cabbage and letting it sit for several hours. I like to toss the coleslaw with the dressing and serve immediately. Try it and you will like it! Thank you very much Panupat. I love Thai food and we have many authentic Thai restaurants in So. Calif.